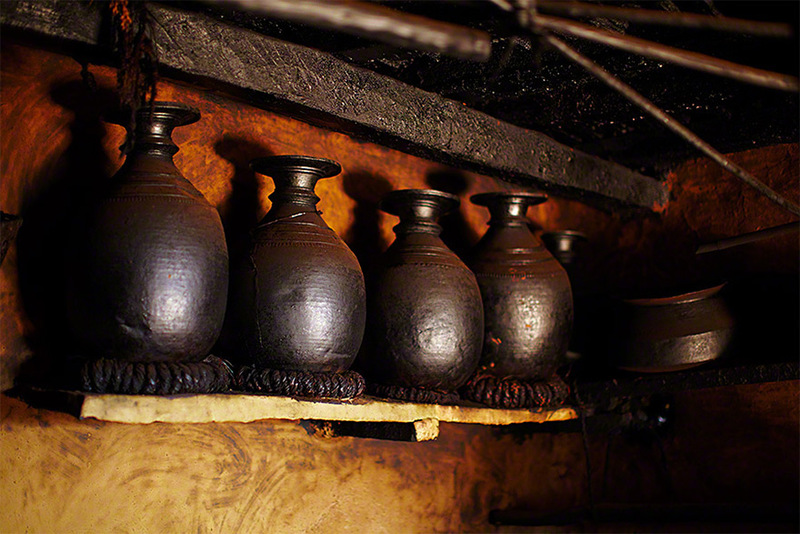 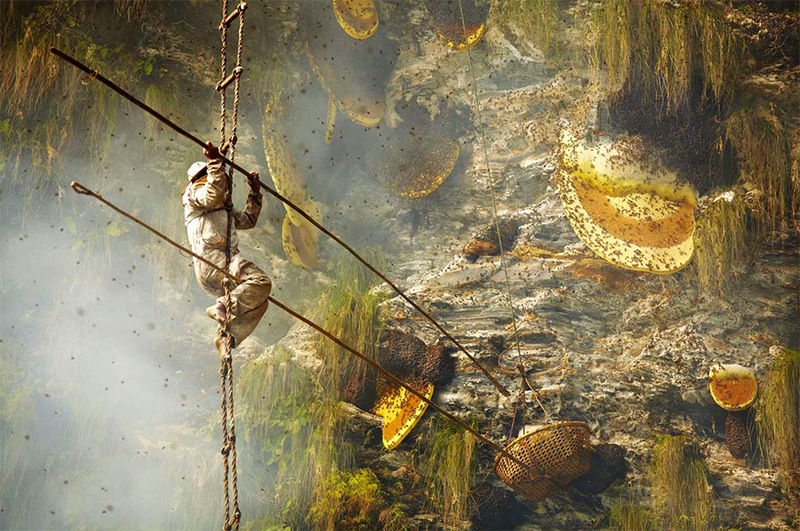 Ever wonder where Himalayan honey comes from and how it is harvested? The truth may shock you. 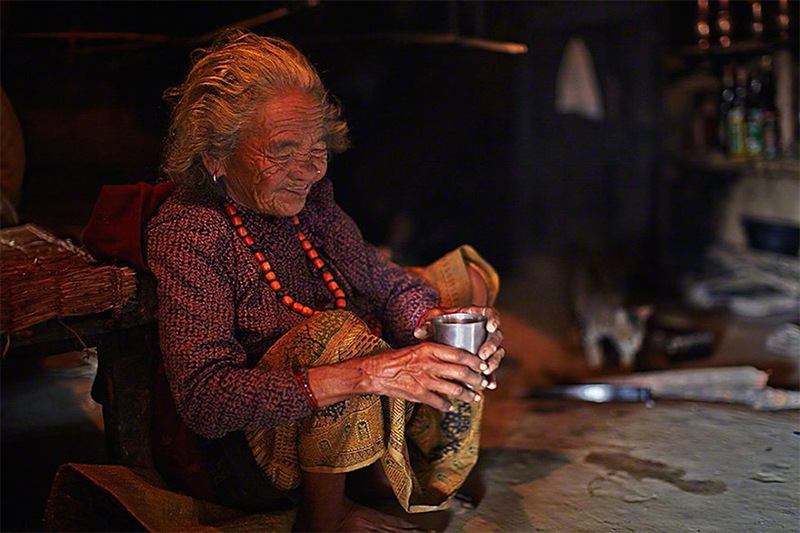 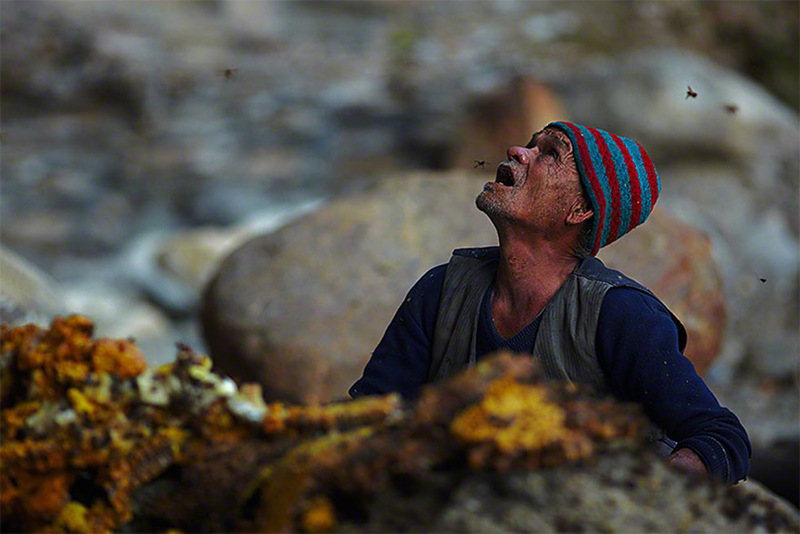 Photographer Andrew Newey spent two weeks living with the Gurung tribe in Nepal photographing their dying tradition of himalayan honey gathering. 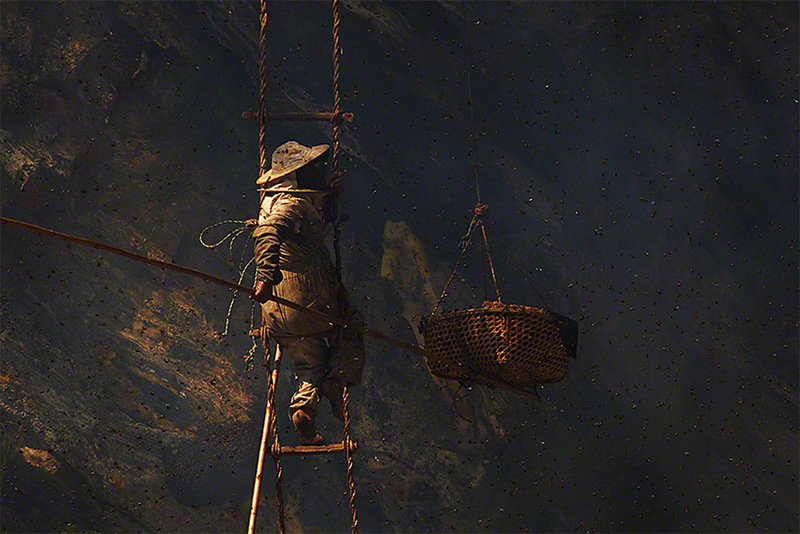 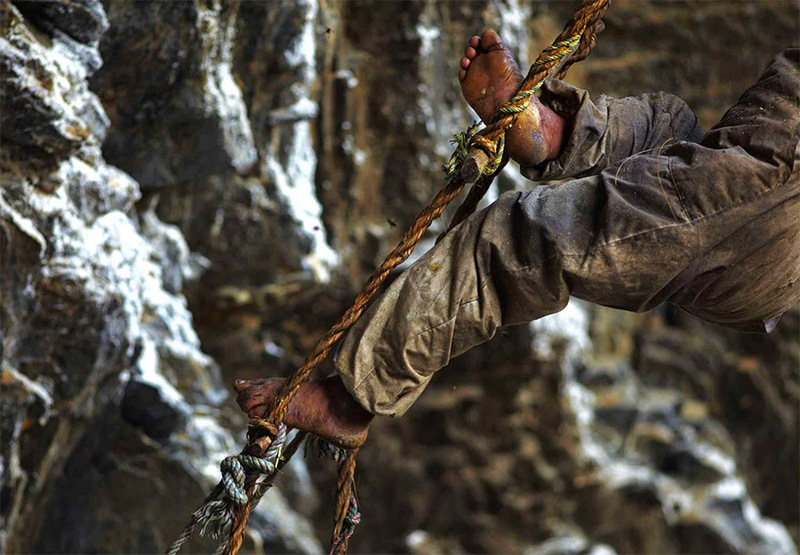 Twice each year the Gurung tribespeople climb himalayan cliffs to collect honey from the largest bee hives in the world. 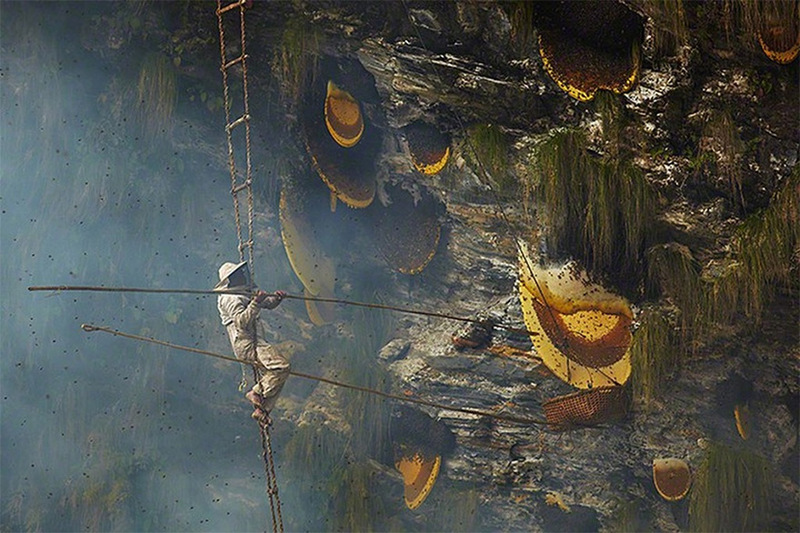 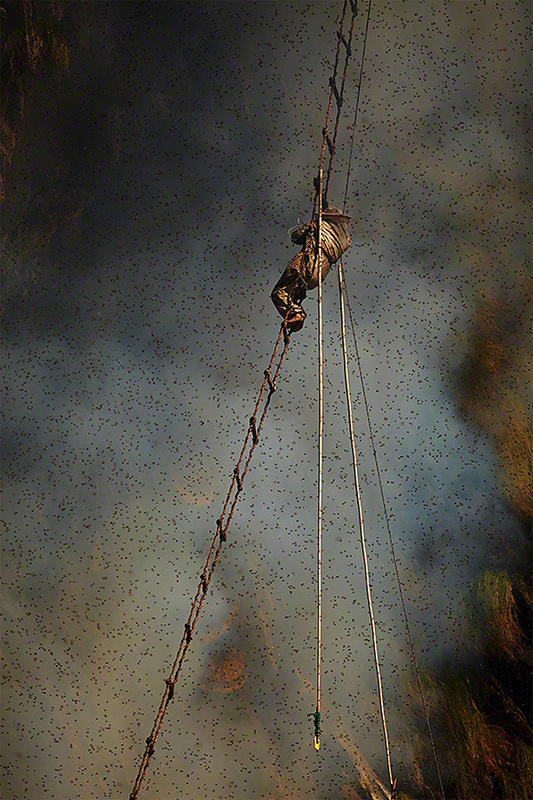 They use hand made rope ladders and long sticks to retreave the honey comb, located hundreds of feet high on steep cliffs. 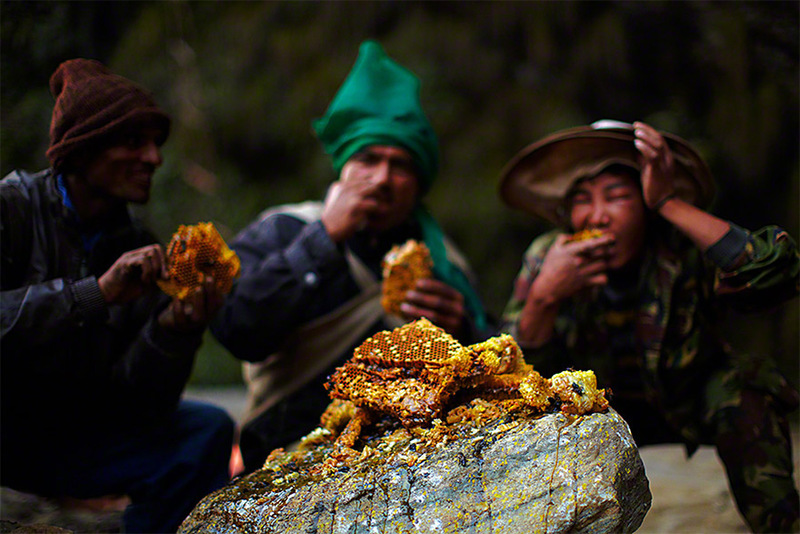 Before beginning the honey collection, the Gurung first have to offer prayers to the cliff Gods, along with offerings for their protection. 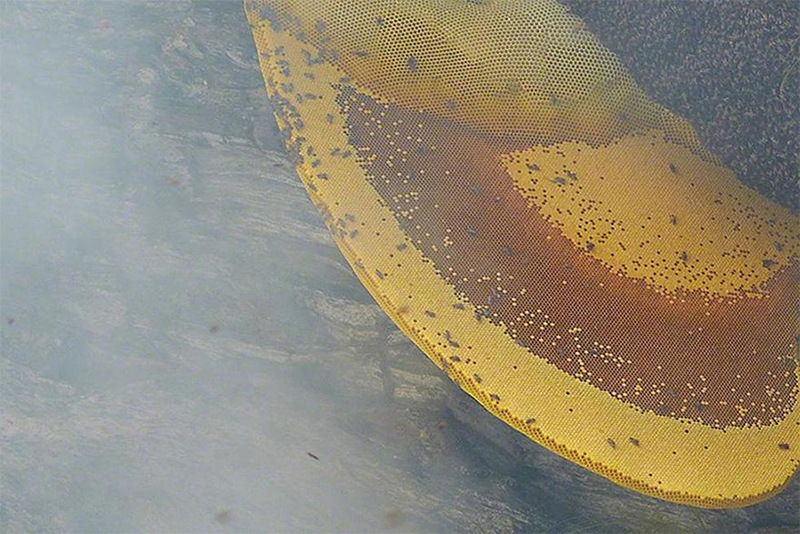 They then make huge amounts of smoke to temporarily drive away the honey bees and make it easier for them to approach the hive. 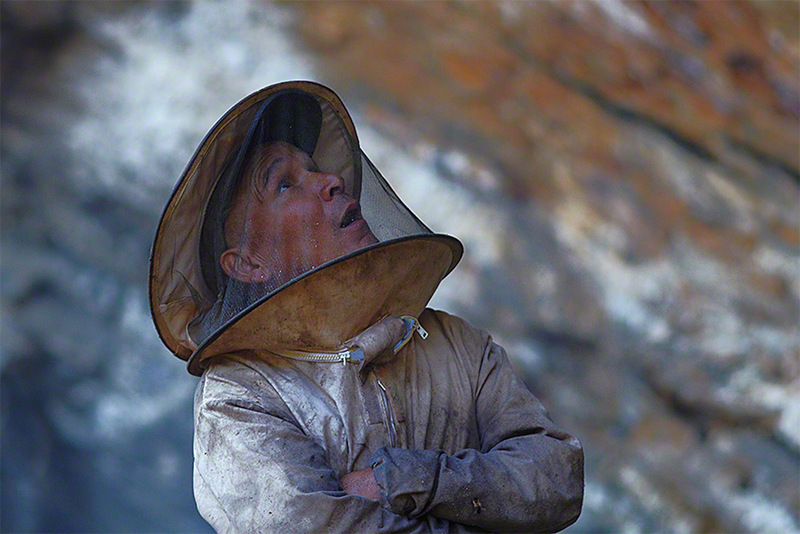 The particular species of honey bee that lives here is the largest bee in the world. 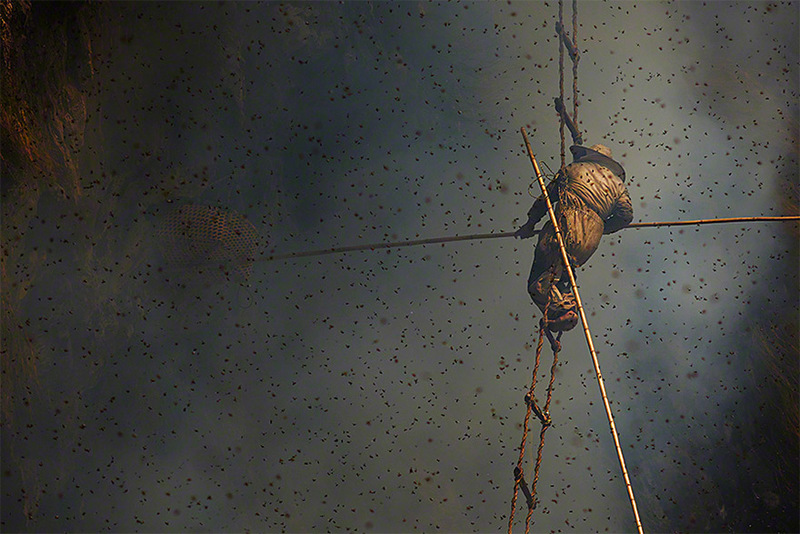 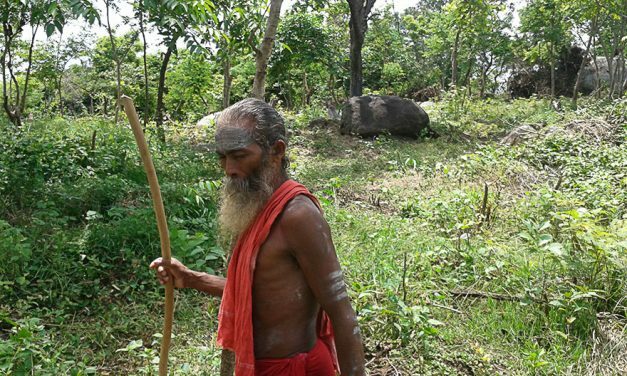 The gatherers use a long stick with a sickle on the end to carefully cut free one of the giant honey combs from the cliff face, and then place it into a hanging basket. 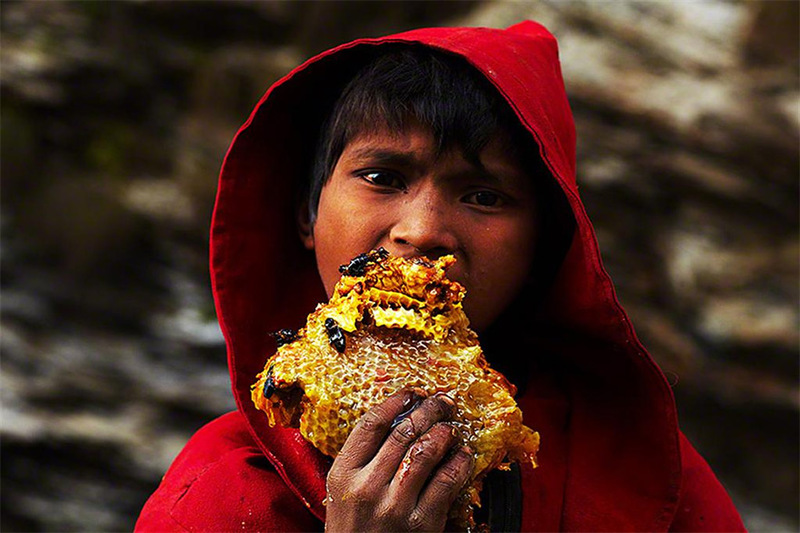 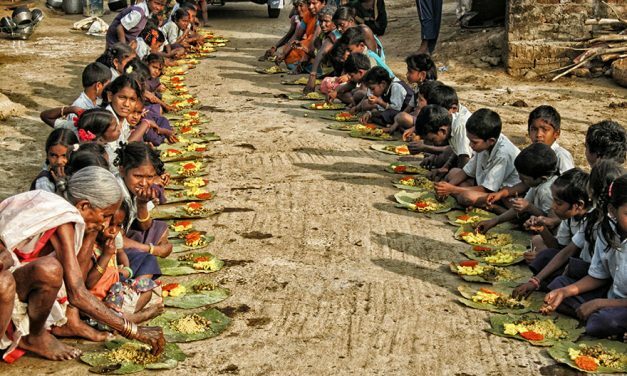 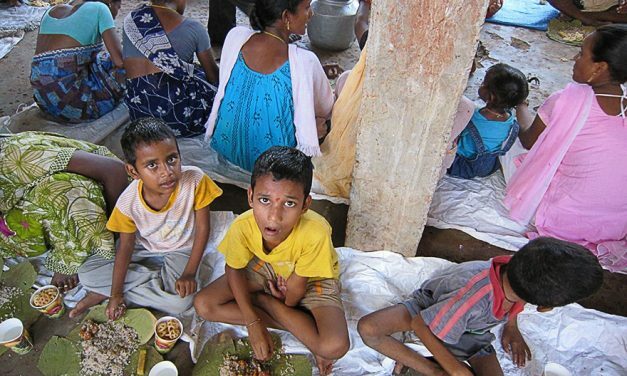 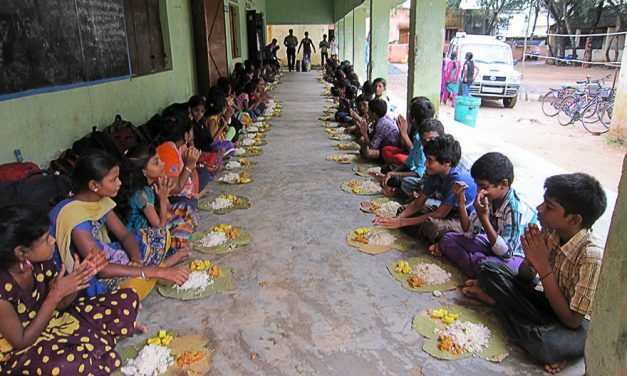 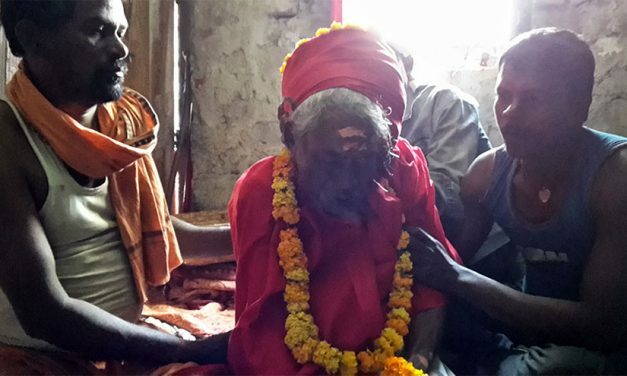 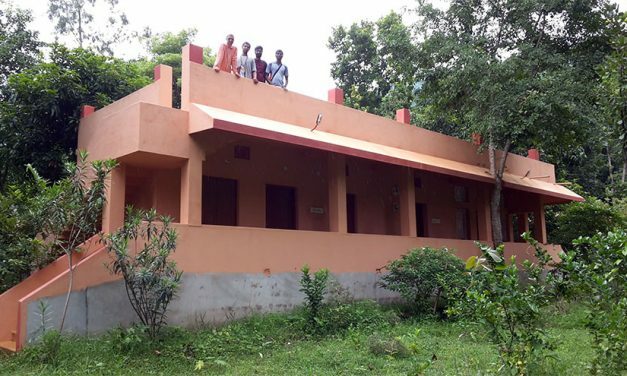 Due to the high demand for this special type of honey, the government of Nepal has claimed all rights over the hives and is slowly taking ownership away from the indigenous honey collecting tribes. 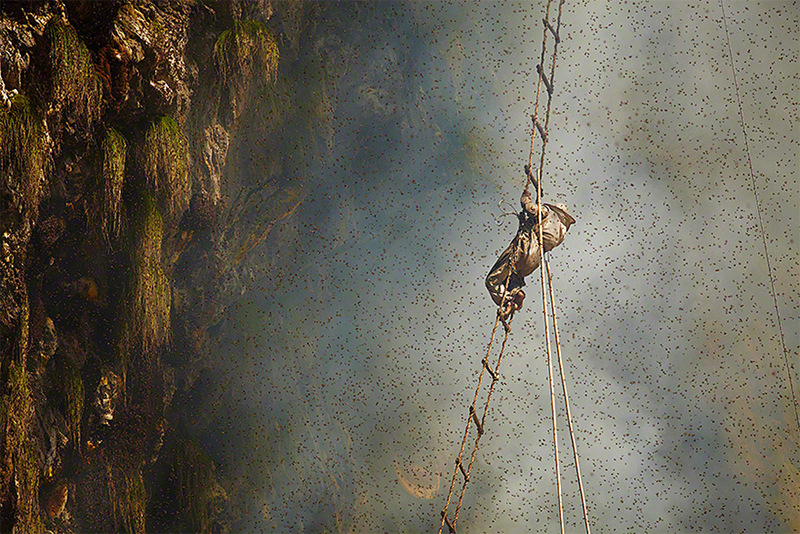 Despite using protective gear, the climbers will be covered in many bee stings, and have many blisters on their feet from climbing the rope ladders bare foot. 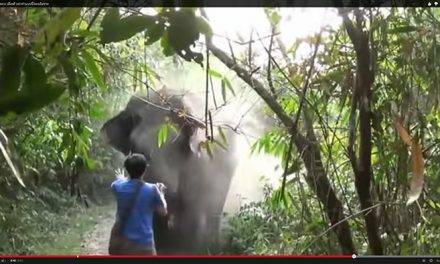 NextWatch What Happens When a Tourist Tries to Follow an Elephant in the Forest!